Who doesn’t like the idea of spending a night around a fire pits chatting with friends and maybe drink a few beers? If you’re the kind of person that loves that idea… Read on. 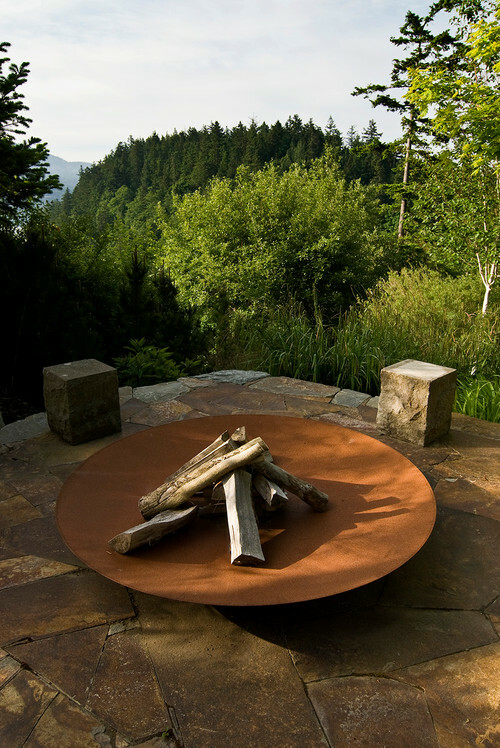 “Home Design Ideas” will share with you a selection of stylish and Ecofriendly fire pits. These are amazing designs that can inspire you and give you the desire to have one of them. I must warn you: they are absolutely astonishing. You can find the entire article HERE. 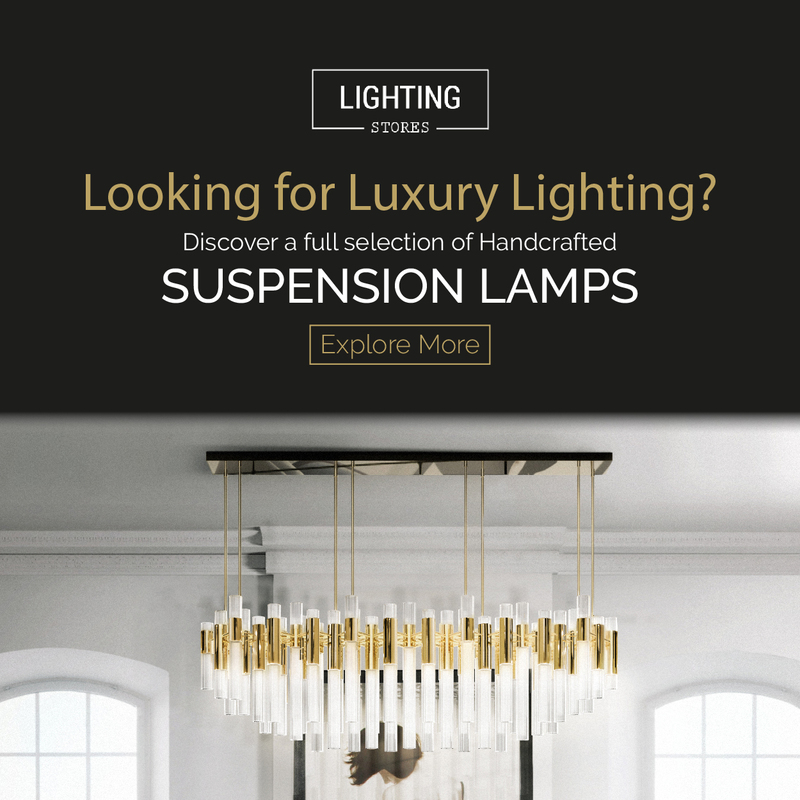 As usual, Houzz has fantastic articles on their website. Prepare your senses for this first image. 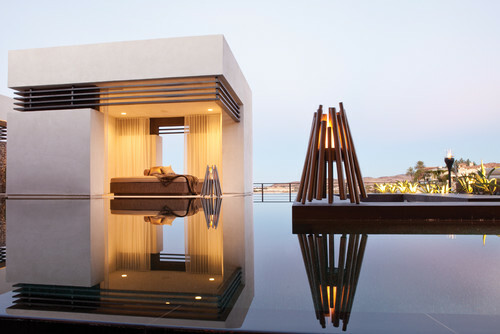 This stylish fire pit uses bioethanol and the designers found the perfect place for it: near a pool. Summer nights in this house must be absolutely fantastic! A comfy sofa near a gas powered fire pit. 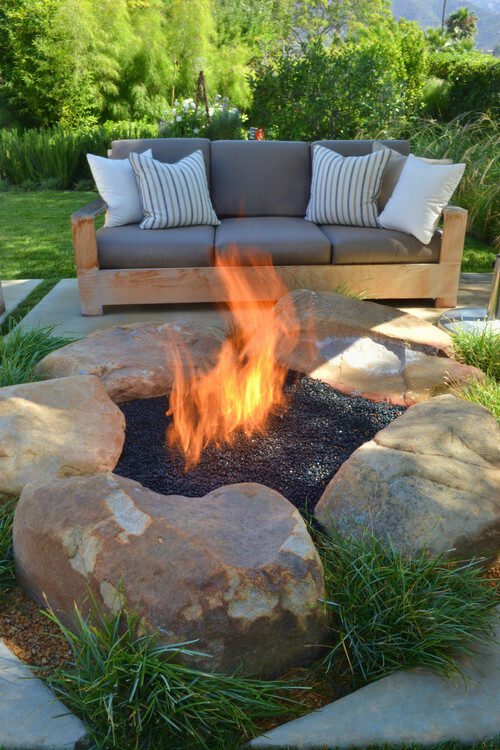 At first glance, it might sound like a bad idea, but when you look at the picture you’ll think “Yeah, I want that” This is definitely a stylish and eco-friendly fire pit. If you’re already an owner of a fantastic but not so eco-friendly fire pit, you must try to use logs made from alternative materials. These are, without any doubt some fantastic and stylish fire pits. A summer night around one of these must be truly fantastic. Tell us what you think!